Getting in a car accident can be incredibly stressful; but with the millions of cars that populate American roads today, unfortunately as a driver it is also inevitable. While you can do your best to be a defensive driver, and try to avoid traffic accidents, sometimes they happen anyway. And when they do, you need to be prepared and ready, so that in this stressful situation you have one less thing to worry about. 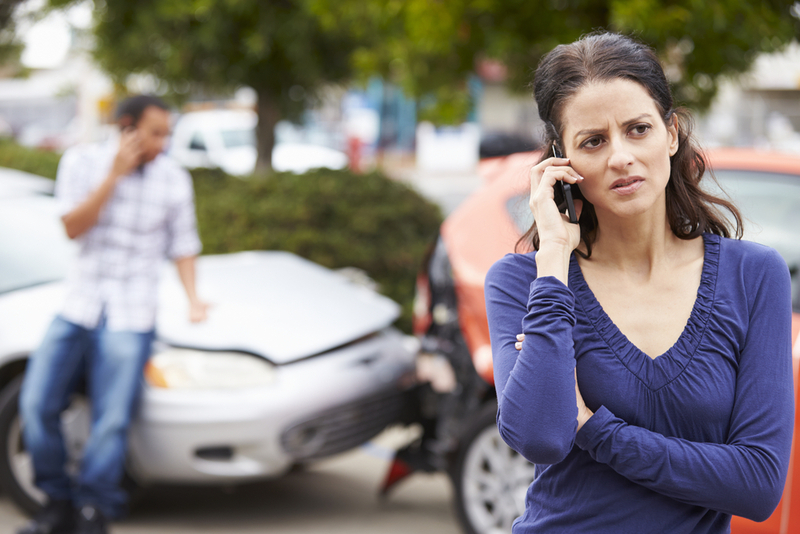 Here are some important tips for dealing with the fallout of a car accident. While you cannot know if or when a car accident will happen, you can be prepared in case one does. Keep a collection of important items in your glove box, including insurance policy details, an emergency number for your insurance company, the number for a tow truck, your vehicle registration. It is also a good idea to carry any relevant medical information in case the accident is more serious, such as allergies or specific medical conditions. You might also consider keeping a flashlight, water, traffic cones and flares in your trunk, just in case. Whether you think that there was any damage or not, it is absolutely crucial that you pull your car over and get out. For your safety, and that of the other drivers on the road, you need to make sure that you are to the side of traffic, especially if you are on a freeway or high traffic road. Furthermore, if you leave the scene you could end up being charged with a hit and run, even if the accident wasn’t your fault. You may have to swap insurance details with the other driver or drivers involved, and you should also wait for the police to arrive. Even if it is just a minor accident, a police report should be filed. It’s all very well saying this right now, but once something like this happens it will be very difficult to stay calm. Knowing what to do will help you with out. Try not to panic, as you could cause a chain effect that results in others panicking. Don’t get angry, instead make sure that everyone in both your car and the other car is alright. Don’t discuss the accident too much until you talk to the police or insurance agents, otherwise it can confuse your memory of the accident. Never accept fault, as it could end up resulting in you receiving the full blame, costing you money, or causing you legal trouble. Get the name, phone number, email address, and insurance details of the other parties in the accident, and call your insurance company as soon as you can. If you can call from the scene of the accident, while the police officer is there, so much the better. Most companies have an 800 number that you can call. You will also want to take down the police officer’s name and badge number for future reference. This used to be difficult to do but, now that most people have a camera on their phone, it should be no problem. Take pictures of the damage done to your car and the other car, the area surrounding you, especially the accident location, and if possible the people involved/present at the time of the accident.